Cayetano Gaming is one of the casino industry’s most well-established names and has created some of the most popular online slots around today. The team at Cayetano is known for producing stunning graphics, original gameplay and high-quality audio accompaniments. Cayetano’s gaming offering is constantly expanding, and a number of exciting new titles are released on a regular basis. With brand new games launched every month, you’ll always find new favourites when you check out Cayetano Gaming’s portfolio. Click here to read more. Founded back in 2009, the company has gone from strength to strength and now attracts the attention of experienced and novice gamers all over the world. With a varied and ever-growing stable of riveting games, it’s not hard to see why Cayetano continues to do so well. The best word to describe the themes of games created by the team at Cayetano Gaming would be “eclectic”. As well as character-driven games, the developers have produced a number of original games based around themes such as the Far East, classic fairy tales and legends and traditional casino favourites. Whether you are a fan of Native American-themed gaming, Egyptian symbols, story-led slots or just classic arcade games, you’ll find your perfect match in the Cayetano line-up. As you might expect from a studio with Cayetano’s experience, the team here have produced some of the online gaming industry’s most popular slots. Big 7 is an instantly recognizable favourite, with its iconic red “7” logo. 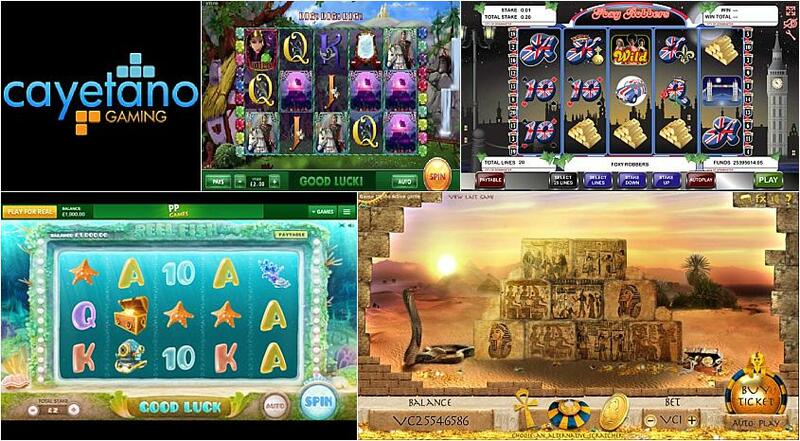 Egyptian Wilds is another popular slot, along with Viking Thunder and Totems Wild. With so many experienced gaming providers around at the moment, it can be tough for any one company to carve a niche for itself and really stand out in a crowded marketplace. Cayetano Gaming has succeeded, however, for a number of reasons. Based in the capital city of Bulgaria, Sofia, Cayetano Gaming is actually owned by Paddy Power PLC. In the company’s early days, it provided a number of its games to the SkyVegas online casino. This brought the games to a wider audience and attracted the attention of the rest of the industry. Paddy Power PLC eventually bought out the entire company, ensuring it would continue to create unique and engaging slots and online games for years to come. Despite having a relatively small team, Cayetano employs only the most dedicated and experienced staff, meaning every detail is taken care of. Designers, developers and mathematicians work together to create some of the most engaging and exciting slots out there, and they carefully balance all aspects of the games for the perfect mix. Cayetano Gaming specializes in classic five-reel, three-symbol slots, many of which can be played in traditional desktop format or on mobile and tablet. The company is passionate about offering a rewarding experience to gamers, meaning bonus features are a big draw. Varied and exciting bonuses and special features are incorporated throughout all Cayetano’s games, meaning every spin is thrilling and offers potentially huge prizes.